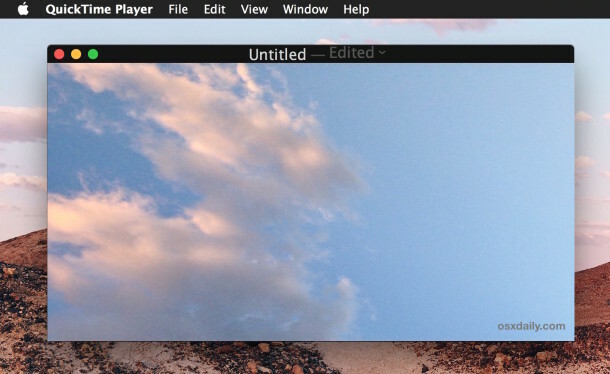 This works to rotate or flip any video or movie file in Mac OS X, the newly rotated video will be saved as a new video file and will not override the existing movie unless you give it the same name. As you may have guessed, to rotate a video 180 degrees or 270 degrees, you’d simply apply the 90 degree rotation two or three times. 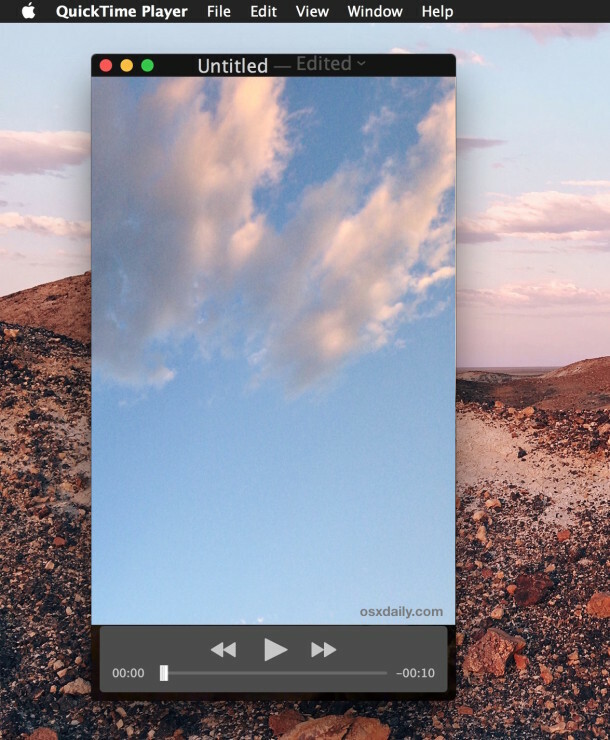 The newly saved video will be have the orientation defined in the prior save process, whereas the original video will be preserved with whatever orientation it had to begin with (vertical or horizontal, flipped or not). This is a handy trick if you come across a video that is recorded the wrong way with orientation off, as is sometimes the case with movies captured from cameras and smartphones, and it offers a simple way to correct any video file that is wrongly arranged or would just be better viewed in another orientation. 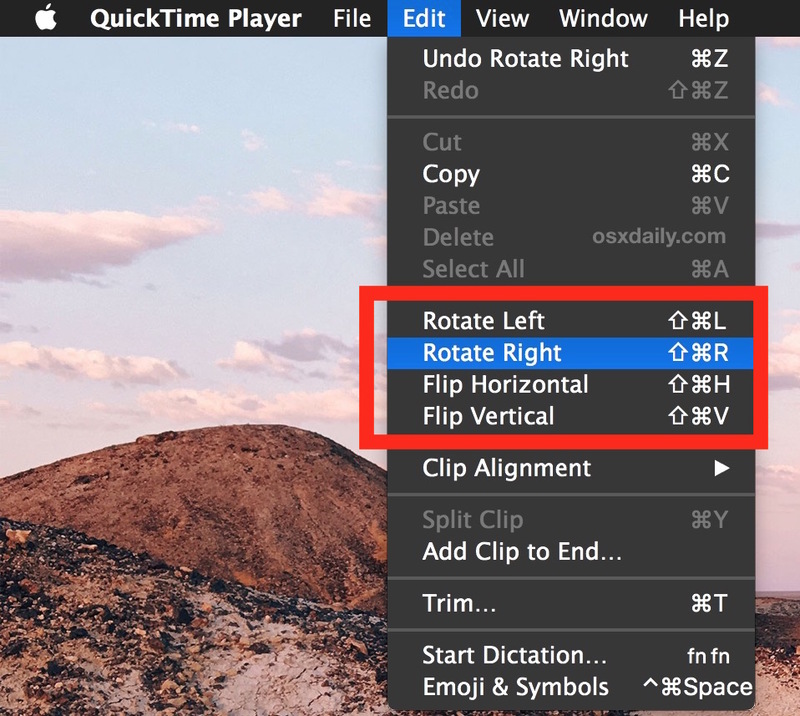 Certainly a nice feature for flipping and re-orientating videos, though unless you’re an avid videographer it may get less use than rotating pictures which are frequently situated wrongly as well.